Arlington, Massachusetts – Join the lawyers and staff of Gosselin & Kyriakidis, P.C. in celebrating 25 years of service to Arlington and the surrounding communities at their Legal Question & Answer booth at Arlington’s Town Day celebration on September 15, 2018. Bring your legal questions to Arlington’s hometown law firm Gosselin & Kyriakidis. 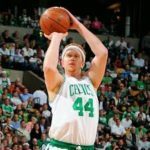 You will also meet former World Championship basketball player and television analyst for the Boston Celtics of the National Basketball Association, Brian Scalabrine. We look forward to meeting you and assisting with your legal needs! For more information about Gosselin & Kyriakidis, P.C, visit our website: gosselinlaw.com. Join your friends and neighbors for the annual celebration of Arlington’s Town Day, Saturday, September 15th starting at 9:30 a.m. There will be something for everyone – pony rides, entertainment, and over 200 booth vendors. Come listen to music, sample Arlington restaurants cuisine, share a beer with your neighbor in the Beer Garden, learn about our Town, and celebrate everything that makes Arlington an amazing community. Town Day takes place along Massachusetts Avenue between Pleasant Street and Jason Street 9:30 a.m. – 3:00 p.m. Please note this area of Mass Ave. will be closed as well as access to Mass Ave. from adjoining streets. Town Day will not have a scheduled rain date. Town Day information and the program guide, will be found at arlingtonma.gov/townday. PreviousPrevious post:How siblings should behave towards each other after their parents’ deathsNextNext post:My Dad is 80 and our family is hoping the RMV doesn’t renew his license because we think his driving is dangerous, but he insists on driving. What can we do? My Dad is 80 and our family is hoping the RMV doesn’t renew his license because we think his driving is dangerous, but he insists on driving. What can we do?